1. 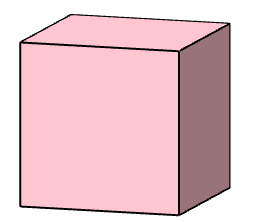 The distance between centres of two adjacent faces of a cube is $8$cm. 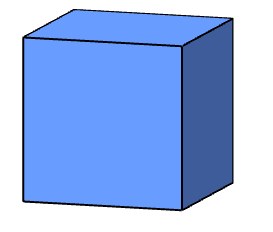 What is the side length of the cube? 2. I can make an equilateral triangle by cutting off the corner of a cube. If the area of the largest equilateral triangle I can create in this way is $140$cm$^2$, what is the side length of this cube? 3. 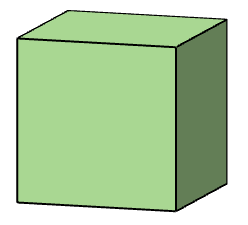 A third cube has an edge length of $12$cm. At each vertex, a tetrahedron with three mutually perpendicular edges of length $4$cm is cut away. Can you find the volume and the surface area of the remaining solid? Pythagoras' theorem. Games. Surface and surface area. Volume and capacity. Regular polygons and circles. Mathematical reasoning & proof. Cubes & cuboids. Polyhedra. Visualising. Real world.